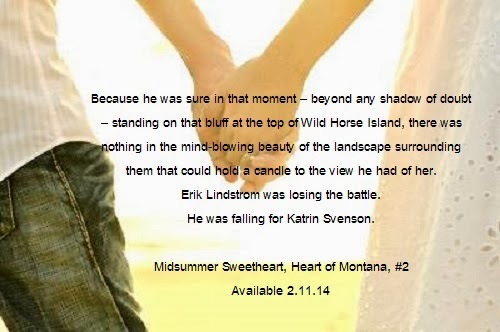 Erik Lindstrom never had much faith in love. He saw his parents’ marriage collapse and vowed to avoid the same anguish himself. His fiercely protective nature drew him to a career in law enforcement, where he’s managed to keep himself and his heart safe…until now. Katrin Svenson is in danger. After leaving her home in secret, her only hope for safety seems to lie in the hands of a man who has steeled himself against her deep blue eyes and sunny smile. But sparks fly between the nurse and her handsome protector, and those sparks become fire as Katrin melts the ice surrounding Erik’s heart. That fire will ward off the dark force determined to keep their sweet midsummer nights from being an impossibly perfect forever. 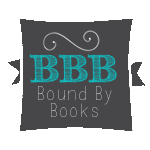 This was the first book I read from Katy Regnery. 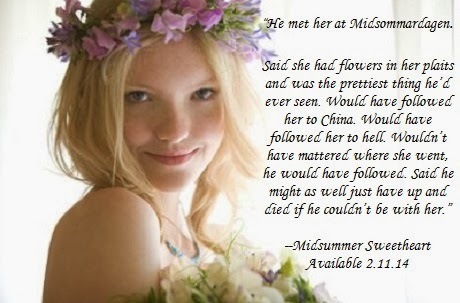 I did not read the first book in the series but, Midsummer sweetheart can be read as a standalone. Katrin Svenson family has decided she needs an intervention and needs to start over. 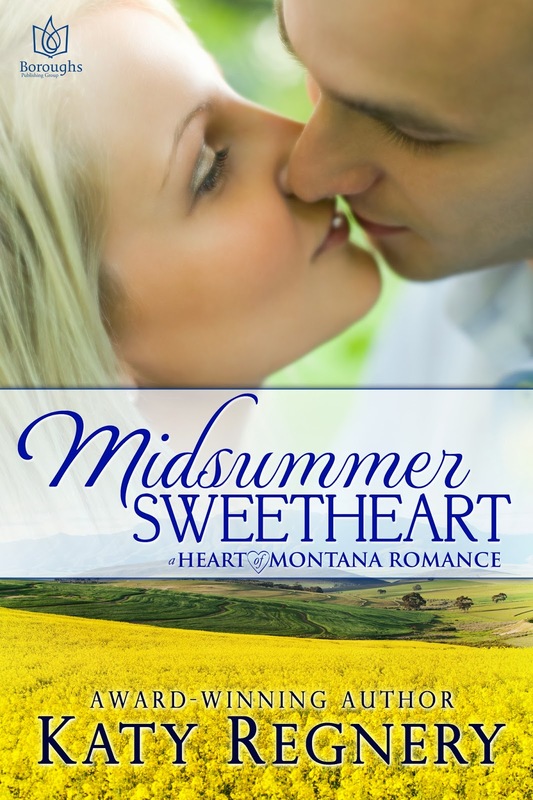 Needing to get away from her ex-fiancé Wade who is a drunk and has threaten to kill her. Ingrid her sister in-law has set her up with a new job in a new town with and army buddy. She has enlisted her cousin Eric to drive her North . Eric doesn't believe in love not after his mother Death. He has devoted everything to school and work in law enforcement. He has had flings but nothing that he has called a girlfriend. The word commitment sends him into a panic attack. During the drive Katrin and Eric learn a little about each other. At the end of the drive they decide to see each other again the next Sunday. Eric and Katrin begin seeing each other and sending texts. Everything was fine until the Eric think about going back home for midsummer and seeing there family. The thought of them being seen as a couple scars him. Can Eric get past his fears of commitment? Will Wade find Katrin? This was a sweet story. This had a different story line than most book that I have read and it was refreshing. Her Paranormal It's You is scheduled for a Winter 2014 release.